A key skill that all electronics designer should have is to be versed in circuit simulation. 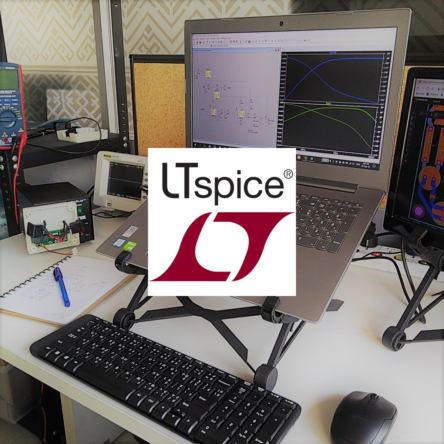 Developpa has created a course that will help you to get started with circuit simulation using the popular and free software LTspice. Circuit simulation allows you to see how a circuit works and performs without actually building it. This way you can ensure that your circuit works before going into the next step of building it. • Frequency response analysis: analyse how the circuit modifies the input signal in the frequency domain. This is very useful when designing filters. • Monte Carlo analysis: determine the worst case output of your circuit given the tolerance of the components used. This analysis will help you to choose the right components for precision circuits. • Importing third-party models: the simulation should be as realistic as possible. Instead of using generic components, import the same components you are using in the real circuit from the manufacturer’s website. For the last lesson, we will combine all the learnt knowledge to design and simulate a bi-amped speaker which you can build afterwards.